Late last year Intel announced massive plans to increase its global chip production capacities by upgrading, expanding, and equipping four of its fabs. As it turns out, the company is not going to stop there and is considering to build a brand new fab in Israel, which will cost $11 billion. Moshe Kahlon, Israeli Finance Minister, on Tuesday confirmed that Intel had applied for a grant of about $1 billion from the government for its new investment plan to build a fab that would cost $11 billion. If everything goes as planned, the investment will not only be the biggest of its kind in Israel, but Intel will also build the largest semiconductor fab in the region. Furthermore, the expansion will add 1,000 new employees to Intel’s staff of approximately 13,000 in Israel. Intel and Ministry of Finance reportedly started talks about the new fab several weeks ago, so the production facility is a few years away. In addition to securing incentives from the Israeli government, Intel will have to apply for permissions from various local authorities. That said, peculiarities of the fab as well as process technologies that it will use remain to be seen. Since Intel is already investing in two fabs in the U.S. (Fab 42 in Arizona and D1X in Oregon), a fab in Ireland, and a fab in Israel, it is unlikely that Intel needs to start building another fab in Israel as soon as possible. 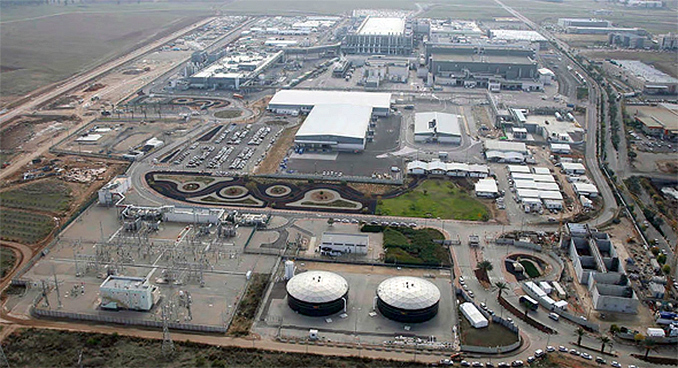 In addition to manufacturing operations, Intel also has rather vast R&D operations in Israel. The company develops CPU microarchitectures, Mobileye advanced driver-assistance systems (ADAS), RealSense 3D cameras, communication, and other technologies in the country. The addition of an advanced fab will clearly increase significance of Israel for Intel. I wonder how Intel, in this moment, think having more fabs is a good thing. 1. Their process is behind. 2. The cost of new process is only going to explode. 3. They are not TSMC, process node is not their BnB. 3. Process node are their BnB. Intel has CPU to continue to fund the Node development, Samsung has NAND and DRAM to fund their Custom Fab, TSMC is just funding it via their own business. Regarding #1, if Intel's 7nm node is as dense as they have announced (~238 million transistors per mm^2) it will be quite denser than TSMC's 5nm node (I have read numbers around 180 MTr/mm^2), perhaps around as dense as TSMC's 3/4nm node or a bit less dense than that. I strongly doubt Intel will release 7nm based CPUs before 2022 though, by which time TSMC should have its 3/4nm node ready for orders, assuming high volume release of their first gen 5nm in 2020 and their second gen 5nm+ in 2021. This is why I dislike the nm rating - because it only realistic base on who makes the node process - I know it more than just density of transistors - it technically is judge also by gate design. I mean Intel is cutting consumer orders to be able to fill high-margin orders. High margin orders must be laptop creators like Dell, Lenovo, HP, Asus and many others.